I WIN BIDS FOR CONSTRUCTION INDUSTRY CLIENTS. MY WIN RATE IS 75%. The reason for my high success rate is my 80/24 rule: 80% of wins happen in the first 24 hours. That’s where we define the win narratives and build a detailed step-by-step response plan so you answer exactly what’s been asked. Frontloading the start eliminates last-minute panic. YOU NEED AT LEAST TWO IDEAS YOUR COMPETITORS DON'T HAVE. 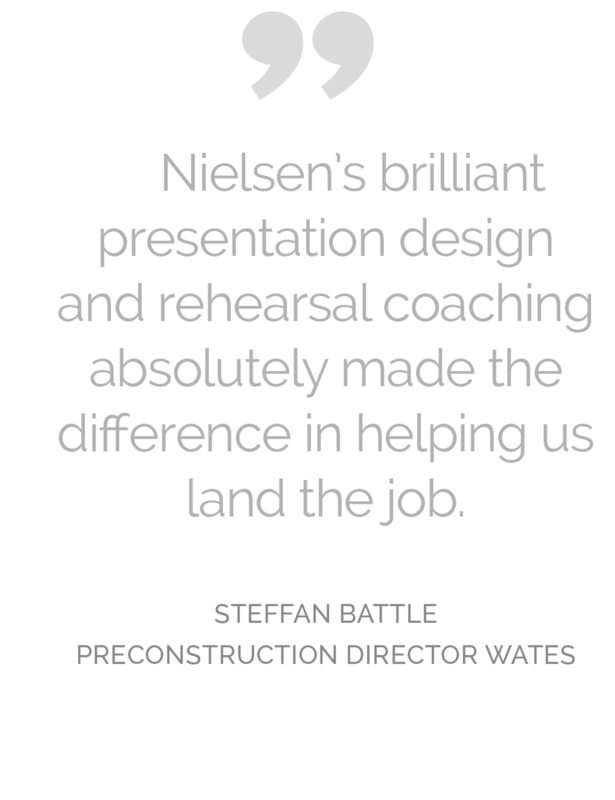 This project is the biggest thing on your client's agenda – excite them with your thinking! Go beyond the expected. 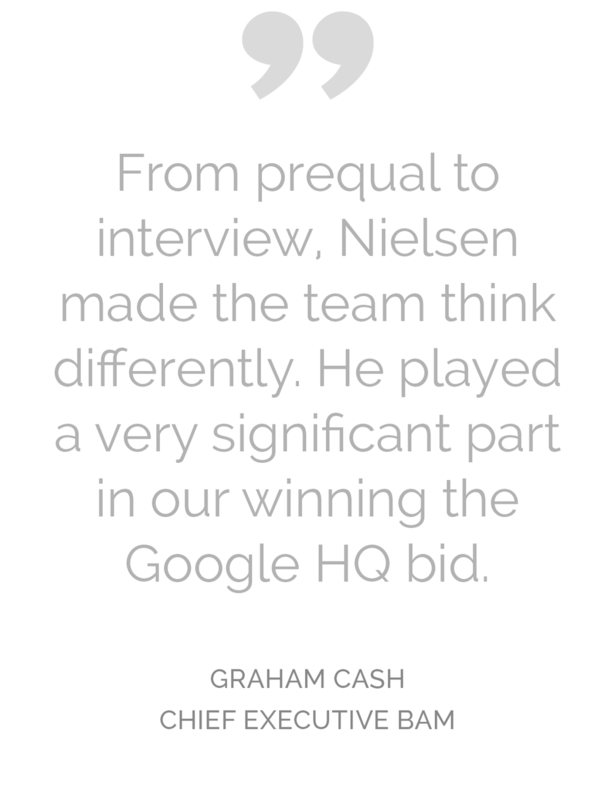 Push your bid team to generate some truly compelling differentiators. Want to interest the client? Interest your team. HERE'S WHAT I DO SO YOU WIN. GREAT IDEAS ARE WORTHLESS IF YOU CAN'T COMMUNICATE THEM. If writing a bid is tough, pity the assessor who has to read six of them. What they're looking for is simple – credible evidence and quantified benefit, clear messages, simple language. And a voice that engages. No fluff. No guff. I work with most major UK contractors and consultants from Aecom to Willmotts. Here are four recent wins.